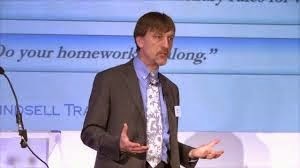 In recent weeks I have been giving a little thought to the cost of my revised strategy of holding some of my portfolio in funds as opposed to shares or investment trusts. With my current broker, AJ Bell Youinvest, there is no platform fee on these shares and ITs in my existing ISA portfolio however, they will charge me 0.20% for holding funds such as my recent additions of Vanguard UK Equity Income and their LifeStrategy funds. Now this may not sound like a lot of money and if I were investing the odd £1K or £2K I would not be overly concerned to be forking out £4 p.a. for the convenience of holding a range of investments under one roof so to speak. However, if I were to invest £20,000 in funds then the charges would be £40 p.a. and I start to sit up and take a little more notice. The first port of call is Monevator's excellent comparison page - I quickly scanned through to see if there are cheaper options for holding funds. The percentage fee platforms all seem to charge more than AJ Bell so they are swiftly ruled out. From the flat fee options, iWeb would be good except they would charge me £200 to open a new a/c so they are out. The others have quite high quarterly charges - some of which are linked to frequency of dealing - I will not be doing much dealing at all so no help here. 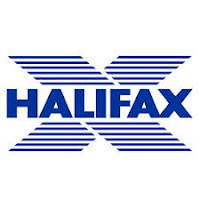 The one option worth looking into further is Halifax Share Dealing who charge £12.50 p.a. platform fee and a rather high dealing fee of £12.50. As I will not be buying/selling, this should not be a problem - I do not anticipate more than two trades per year. I double check the research with comparefundplatforms. I enter ISA, funds, £25,000 - 3 funds, 2 trades per year and to run for 20 yrs. The top two results are iWeb with a cost impact of £1,069 (0.03% annual) and Halifax £1,544 (0.10% annual) - I suspect the iWeb cost does not include the £200 new a/c fees. I am really not sure why they have recently introduced this charge - it looks like I would save by going with them over 20 yrs but the initial charge is too much of a hurdle so I have decided to stick with Halifax. AJ Bell comes out at £3,557 (0.24% annual) which confirms my decision to shop around a little. I then check out the Halifax website which looks pretty good to me. The main thing of course is to make sure the funds I want are available and indeed, they offer over 2,000 funds including a full range of the Vanguard funds I require. I have just spent 10 mins. opening my new S&S ISA account online which was very straight forward and I am now just awaiting receipt of my password before I can operate my new account and start to build my funds portfolio with Halifax. Its probably a good idea to keep an eye on broker costs as well as the OCF with investments. For example, the costs of holding say £20K Vanguard LS funds with AJ Bell would be 0.20% broker and 0.24% fund = 0.44% and with Halifax 0.06% platform and 0.24% fund = 0.30%. This represent a modest saving of £28 p.a. - every little helps (now where have I heard that before!). So long as there is no platform fee from AJ Bell for holding my shares, investment trusts and ETFs, it makes sense to leave that part of my portfolio where it is for the time being. However, I will remove my recently purchased Vanguard funds and transfer the proceeds to Halifax and will now use my new broker to build my holding of funds. What broker do readers use for their investments - leave a comment and let other know what you think - are they good value? Edinburgh has been one of the cornerstones of my income portfolio held in both Sipp drawdown and ISA. It has today issued its results for the full year to 31st March 2015 (link via investegate). The Company's net asset value, including reinvested dividends, rose by 16.5% during the year, compared to a rise of 6.6% (total return) by the FTSE All-Share Index.. The board have proposed a final dividend of 8.6p making a total of 23.85p for the full year - an increase of just 1.5% on the previous year which is a little disappointing. However, I have no complaints with an overall return some 10% above the FTSE All Share. Due to the 15% increase in the share price over the past 12 months, the yield has now fallen to 3.45% based on the current price of 690p. "The recent performance of the UK equity market has seen further strong positive returns, with the FTSE All-Share Index recently hitting a new all-time high, which makes the near term outlook more subdued. The continued rerating of equities primarily as a result of the policies of central banks has resulted in boosting asset values to the point where the market looks more fully valued than for many years. This high level of valuation coupled with a low level of earnings growth is the primary risk to the current level of share prices". Shareholders have benefitted from a reduction in charges - £7.6m compared to £12.5m last year and £18.2m the previous year. This is largely due to removing the performance fee. This is the first year that performance fees have been abolished and replaced with a flat fee of 0.55%. Ongoing charges for the year was a more modest 0.61% (2014 1.0%). Shareholders have further gained from the significant savings of ~£8m in borrowing costs as the £100m 11.5% debenture was replaced from last June. All in all, a very pleasing outcome - share price up 15%, a modest increase in the dividend and a big reduction in charges. I am happy to continue with this trust for the duration. Booker Group is the UK’s leading food wholesaler, offering branded and private-label goods which are sold to over 1.5 million customers including independent convenience stores, grocers, leisure outlets, pubs and restaurants. They employ around 13,000 people. The shares were added to my portfolio in April 2014. They have today announced final results for the full year to end March 2015 (link via Investegate). This merely confirms the Q4 numbers put out in April which looked pretty impressive to me. Pre-tax profits are up 17% at £140.3m and basic earnings increased 10% to 6.73p per share. In a separate statement, the company announced the proposed acquisition of Londis and Budgens for £40m - Londis is a symbol retail chain of 1,630 convenience stores. Sales in the year to December 2014 were £504m. Budgens is a franchised chain of 167 grocery stores with sales of £329m in 2014. "This was a good year. Customer satisfaction continued to improve, which helped grow Group sales to £4.8bn. Our plans to Focus, Drive and Broaden the business remain on track. We look forward to helping our customers prosper in the years ahead." 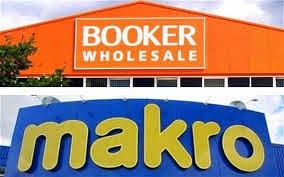 "Booker, Londis and Budgens are joining forces to help independent retailers prosper throughout Great Britain. This transaction should strengthen Londis, Budgens, Premier, Family Shopper and other Booker retailers, through improving choice, prices and service to consumers. Overall it will help independent retailers prosper." They have announced an increase of 14% in the full year dividend to 3.66p (3.2p 2014) - the cover is 1.84x - and will again propose an additional return of 3.5p per share at a cost of around £62m. It is proposed that this is achieved by the issue of a new class of "B" shares which shareholders will be able to redeem for cash. They also indicated the return of capital to shareholders of a similar amount in 2016. This therefore provides a total return of 7.16p equivalent to a yield of around 4.3% at the current share price of 167p. The balance sheet remains solid with net cash of £147m (£149.6m - 2014). The results and acquisition announcement appear to have been well received by Mr Market and in early trading, the shares were up 10%. There have been quite a few changes to the shares portfolio in recent weeks so maybe time for an update so as not to lose track of where I am up to with my revised strategy. At the time of my last update in March I offered some thoughts on my income investment strategy and came to a decision that my individual shares portfolio was probably the weakest link. I decided therefore to reduce my reliance on this sector and I have started to sell down some of my shares portfolio. As I get older I appear to be losing a little of my appetite for all the work involved, all the time and effort it takes to research shares and run the portfolio is just not worth it. Five shares were sold and the proceeds of £8,875 reinvested in Vanguard UK Income fund. 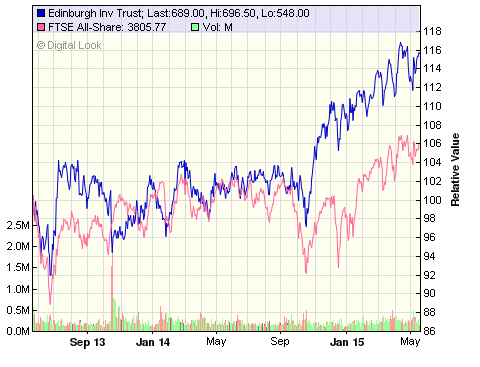 In April, I disposed of Diageo and Charles Stanley and acquired City Merchants Trust. As I said in my previous post, I did/do not intend to sell off the entire holding of shares - just start to remove some of the more volatile performers and try to improve my overall income by switching out of some of the lower yielding shares. However, as someone pointed out in a recent comment, as the shares portfolio is reduced in number, it increases the exposure/risk/volatility of the remaining shares - something of a dilema to ponder. One reason for the change of strategy was the share price volatility but another, perhaps more significant aspect of the review has been a shift from an assumption that the focus needed to be on natural yield to embracing a low-cost total return focus with the option to siphon off growth and/or income via a sale of part of my investment. This has opened up many more opportunities. For example, I have been taking a closer look at the Vanguard LifeStrategy funds and decided these would make an excellent addition to my portfolio under the revised regime. In May, I sold off a further 3 shares and reinvested the proceeds into Vanguard LifeStratrategy 60. More recently I have disposed of AIM-listed Plastics Capital which breached my stop-loss limit and IG Group which has had a good run returning ~30% since purchasing just 8 months previously, but which I have found very volatile in the past. Since the start of 2015, on a total return basis, almost all holdings are in positive territory (including those sold). This is probably not surprising as the FTSE 100 is up above 7,000. Indivior which is the pharma spin-off from Reckitt is up over 50% but no dividend declared yet, Sky and house builder Berkeley are up over 20%. At the close of business today, the FTSE 100 stood at 7,007 - a gain of 6.7% on the start of year level of 6,566. Total return for the FTSE 350 year-to-date is 9.2%. I am pleased to see that overall, the shares portfolio is quite a bit ahead over the past 5 months with a total return of 12.7% including dividends of 2.1%. The portfolio has slimmed down quite a bit over recent months and, for now its probably time to take stock and allow the new strategy to bed down for a while. I therefore do not anticipate many - if any - more sales. I thought it may be interesting to wind the clock back a couple of years to my first shares portfolio article from May 2013. Obviously a few changes have been made but having added a guestimate of dividends for the previous two years, the percentage returns of the ‘untinkered’ portfolio are ahead by ~10% - I never look back but regret selling those shares in Greggs! 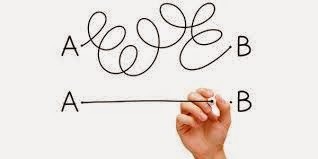 As ever, slow & steady (untinkered) steps…..
Over recent weeks I have been in the process of reviewing my investment strategy - I am getting to the point where the review is more or less completed and all that remains is to implement some of the changes. Readers of some recent posts will not be surprised to learn that the Vanguard LifeStrategy has now been added to my portfolio. It will be a couple more days before I get the confirmation but I think the price will be around £140. I have been aware of these funds for some years and placed them on my watch list as a potential purchase in 2013. However, I had not really considered them as suitable for my income portfolio as the yields on the respective funds were all too low ~ 1.5% or so. Fortunately, I was reminded by Passive Investor in a comment to an earlier article, that natural yield was not the only way to take income from an investment - it is always an option to sell off some of the capital - say once per year - to achieve the same result. The other drawback was the extra 0.2% charges I would incur from my broker AJ Bell Youinvest for holding funds - they do not currently charge for holding investment trusts and ETFs. The LS funds offer a balanced portfolio of globally diversified equities combined with some gilts and corporate bonds. They were introduced in June 2011 and provide investors with a neat solution to match their required asset allocation mix between equities and bonds - from 20 to 100. Therefore the LS40 will have 40% equities and 60% bonds; the LS80 will have 80% equities and 20% bonds. The fund will hold a blended assortment of the Vanguard stand-alone funds. The bond element (assuming you do not want the 100% equity) will comprise a combination of UK gilts, global bonds, corporate bonds and inflation-linked gilts. The equities element includes their UK all share tracker, global tracker and finally, a small exposure to emerging markets. 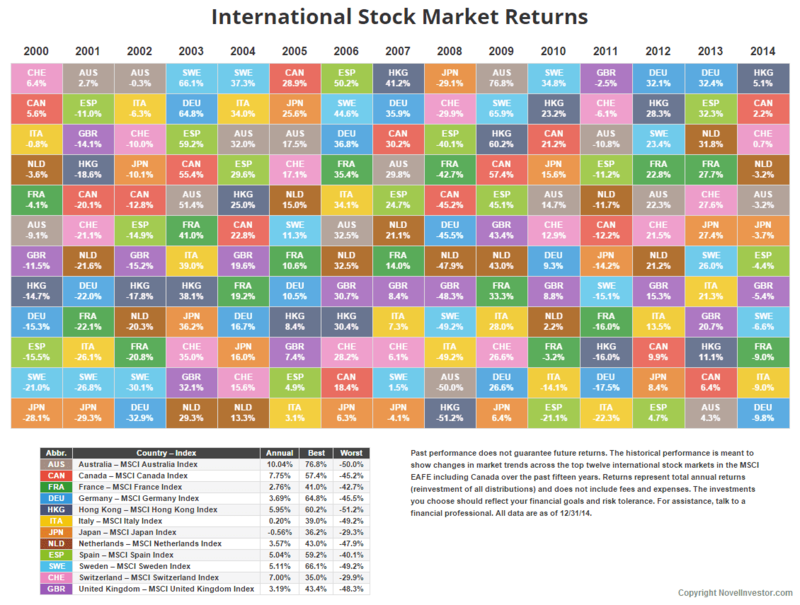 As my chosen asset allocation in recent years has been approx. 60% equities and 40% fixed interest, I naturally selected the LS60 for my first purchase. The figures for my own portfolio over the same period were 15.5%, 13.3% and 5.4% - slightly better overall but with quite a lot more work, more volatility and probably a little more risk. The ongoing costs on the LS range have recently been reduced to just 0.24% plus a one-off dilution levy of 0.10%. With the additional platform charges, this makes the combined ongoing charges 0.44% which is the equivalent of some of my lower charging investment trusts. As an aside, I am wondering why Vanguard cannot offer their own lower cost platform as I am sure it would be very popular. I have purchased the accumulation units and have made a note in my diary to check the additional units and return this time next year. I will then make a decision on what percentage of capital to sell down as ‘income’. I am hoping for something around 4% which should be roughly the equivalent to replacing the dividend yield on my individual shares. I really do think that putting together a DIY investment portfolio does not come much simpler than this. You decide on your asset allocation, select your low cost broker, set up your automated monthly direct debit - job done, get on with your life! Maybe I should give up on my blog now!! The new purchase has been funded through the sale of a few more of my individual shares. 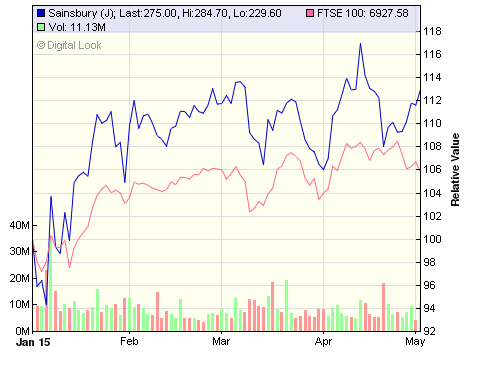 Centrica and Sainsbury have both recently announced significant cuts to their dividend, also both have seen quite a rise in their respective share price in recent months. The other share to go was Reckitt & Benckiser which has seen an almost doubling of the share price since I purchased some 4.5 yrs previously which I am happy with however this inevitably corresponds to a drop in the yield to below 3% which makes it a little easier to release. I will update my shares portfolio in the near future as there have now been quite a few sales. In addition to the LS fund, I also took the opportunity to add to my Vanguard All World High Yield ETF(VHYL). Over recent weeks, I have been reviewing my investment strategy. When I first started this blog in Feb 2013, I wrote a number of articles which reflected my basic approach to the investing process. These are essentially a collection of guidelines which will benefit most investors - keep costs low, keep it simple, a diversified portfolio, start early etc. 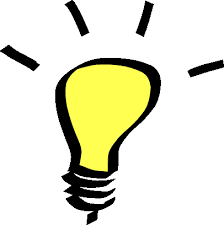 * Low Costs - it seems to be logical that if you invest in a fund charging 1.5% p.a., it is likely you will get less return for your investment than a fund charging 0.25% - this is hardly rocket science. 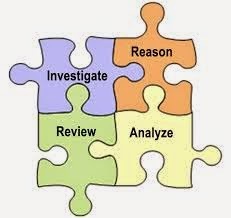 Indeed all the research I have seen in recent years supports this. Here’s a link to a recent report by vanguard which is typical of many. The next best option therefore would be to limit any potential loss by selecting a diverse range of investments. As we probably all understand, as a general rule, its not a good idea to put all your eggs in one basket. Geographic - a global spread of holdings. 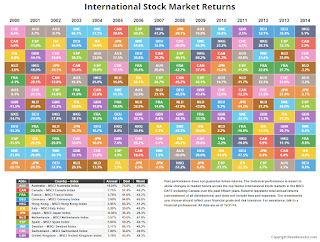 As can be seen from the chart - courtesy of Novel Investor, limiting your portfolio to just one country may not have provided the better returns - far better then to have a wide global mix (NB USA not included). * Start Early and stick with it for the long term - those who embrace the idea of investing, and I suspect this may well be a small percentage of the population, will come to it at different times. The earlier we can get going, the better as our investments will compound over time - also, the longer the period of investing, the better chances of a successful result. The ability to see it through over the longer periods could well be the most challenging aspect of the investing process. Investing will usually involve some equities and these can be volatile - some investors, myself included, can become irrational during periods of market volatility. Asset allocation and rebalancing is an important part of the strategy to deal with this aspect. some UK income and global income tracker funds/etfs. Shares - 20 is probably a reasonable number to give some diversity and they are very low cost as apart from the dealing fee to purchase, there are no further ongoing costs charged by my broker. Whether they could be regarded as simple for the average investor to research and monitor is debatable but for myself, as I get older, I recognise this has become more of a chore and I am starting to think I could do without the half-yearly perusal of the interim/final report etc. - not to mention the share price volatility. 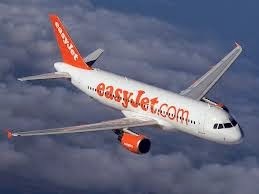 My shares in easyJet fell 10% this week after reporting its first interim profit for over a decade - logical or what! Individual shares are probably the most volatile assets to hold in any portfolio - and the logical implications of this are that the emotional rollercoaster makes it more likely that some shares will be traded too frequently which in turn increases costs. It can be quite fun to hold individual shares but from a logical point of view, I am struggling to justify a case for their retention. Investment Trusts - they offer diversity both in the number of shares and other holdings in each trust but also give access to global markets. The costs vary, some are reasonably low at ~0.45% with the likes of City of London, others are nearer to 1.0%. As with shares, there are no additional platform costs with my broker for holding investment trusts. I find them less volatile than individual shares however, they do use varying amounts of gearing and can trade at a premium or discount to their NAV so they are a little more complex. Against this is the advantage of their ability to pay a steadily rising income steam due to their being able to hold back excess income in reserves. Passives - it more or less goes without saying that these are all low cost. There are however some additional costs - 0.20% platform fees - for holding funds with AJ Bell Youinvest. They are diversified, fairly simple to understand and implement - although with the funds you don’t quite know what quantity you have purchased and at what price until a couple of days later. Although I have not bought the fund yet for my own portfolio, the Vanguard LifeStrategy funds offer a diversified low cost one-stop strategy which could not be much simpler. The income distributions are unpredictable as the fund or ETF merely pays out all the income received over the intervening period. I am trying to take some of the complexity out of my strategy - make it more simple, reduce some costs and hopefully generate a little better returns. I am wondering what response you might get from IBM’s Watson - surely one of the ultimate providers of logical solutions. I’m sure it can’t be too long before it will be possible to pose a simple investment question and the super-computer will come up with the very best logical strategy! 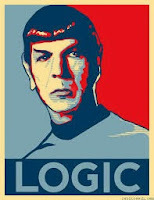 I feel sure Mr. Spock would suggest I dispose of my individual shares and possible some of the higher charging, lower performing investment trusts and divert the proceeds into one or two global index funds. I probably need a little more time to consider the further changes to my investing strategy. It would however be good to simplify my investment portfolio a little more… as they say, slow & steady steps - provided they are heading in the right direction! I wonder what Homer would do - probably have another beer! It is 18m since I purchased this FTSE 100 budget airline company for my income portfolio. The purchase price was £14.09. Since this time, the shares have been on a rollercoater ride. It is over 12 years since the company were in a position to declare a first half-year profit. These came on the back of increased revenues from higher passenger numbers and benefiting from the fall in oil prices combined with an increase in capacity. Total income rose 3.8% to £1.76bn as revenues per seat increased. "easyJet has delivered a record performance in the first half of the year by continuing to deliver its strategy of making travel easy and affordable for passengers. The profit in the half reflects the delivery of our customer focused revenue initiatives and a strong finish to the ski season as well as the benefit we received from the lower fuel price and favourable foreign exchange movements. As we enter the important summer season forward bookings are in line with last year and as we predicted passengers are benefitting as fares fall to reflect a more competitive operating environment and lower fuel costs. easyJet continues to be well positioned to grow revenue and profit this year, delivering sustainable returns to shareholders due to its compelling network, low cost base and strong balance sheet." Looking to the full year, the air traffic control strike in France during April is expected to knock ~£25m from profits whilst adverse exchange rate will impact a further ~£40m. On the positive side, easyJet's unit fuel bill for the full year is likely to decrease by around ~£100m compared to the previous year. Net cash as at end march was £416m compared to £449m at 31 March 2014. 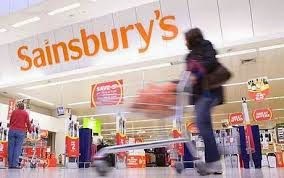 The share price has seen a strong run over the past few months but in early trading was down around 7% at £17.00. The shares tend to be a little volatile but I am surprised to see the reaction from the markets - as far as I can see, these results were pretty much in line with expectations. More following the full year results later in the year. This trust is not the highest yielder but is the top UK Income Trust in terms of net asset value and share price performance over five and ten years, its returns far outstripping those of the FTSE All-Share index. He holds shares for the long term regardless of short-term volatility, aiming for them to double or more in value over time. This results in extremely low portfolio turnover, which saves on transaction costs - sale costs over the past 6 months was precisely £nil. Top five portfolio holdings are: Unilever 8.8%, Diageo 7.7%, Pearson 7.2%, Reed Elsevier 7.7% and Heineken 6.6%. The trust has today announced results for the half year to end March 2015 (link via Investegate). 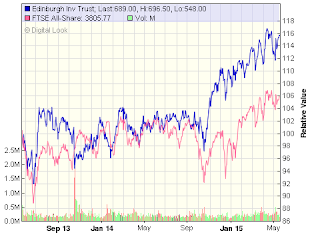 Share price total return is 17.4% compared to 5.3% return for the FTSE All Share. by a major, beneficial supply shock - US horizontal fracking…What this means for the rest of us is that, all around the world corporations can look forward to even lower energy costs and consumers to having higher disposable income in their pockets". Falling inflation - one result of plummeting energy costs - and straitened government balance sheets mean one thing - a continuation of extraordinarily lax monetary policies worldwide. Fiat money will find its way quickly into financial assets, particularly those that offer any certainty of real, inflation-protected returns over time. Blue chip equities are an obvious beneficiary". I have been leaning more towards passive index funds in recent months, however Nick Train is possibly one of a handful of managers worth paying the extra to look after a portion of your investments! I am obviously very happy to continue holding for the long term. As we all know, it will pay to keep an eye on costs wherever possible, and attempt to avoid high charges when it comes to investments. 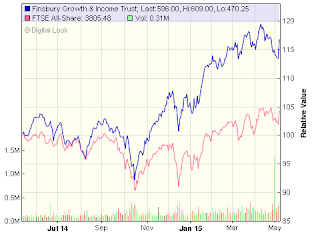 I have several investment trusts which provide a decent level of income. Some have reasonably low charges such as City of London with OCF of ~0.45%. 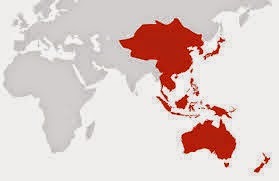 Others have higher charges and in particular I have been looking at my 3 income trusts focussed on the Asian markets - Aberdeen Asian Income, Henderson Far East and Schroder Oriental. Ongoing charges for these trusts are 1.25%, 1.21% and 1.34% respectively - an average of 1.26%. They all provide a reasonable income yield, but at the back of my mind, I am wondering whether the higher yield comes at the expense of overall performance. I believe the Vanguard Developed Asia Pacific ETF (VAPX) will give me exposure to roughly the same markets as the investment trusts however the ongoing charges are much less - just 0.22% which will save me over 1.0% in charges every year - that’s just over £100 for every £10,000 invested. The fund was launched in May 2013 and tracks the FTSE Developed Asia Pacific (ex Japan) index. The principal areas of investment focus are Australasia (45%), S. Korea (25%), Hong Kong (22%) and Singapore (8%). The cumulative return for the index over the past 10 yrs is 156% - annualised cagr 9.86%. The current yield is around 3.25% and paid quarterly. As with the Vanguard All World ETF which I purchased last year, the dividend distribution amount is a little unpredictable which is something I am having to adjust to - I am not sure how much I will receive at the end of each quarter - but a minor inconvenience compared to the saving in charges. The other saving is on platform charges - with my broker AJ Bell Youinvest there are no charges for holding ETFs (or ITs to be fair) compared to the 0.20% charge for holding funds - for example, I could have selected Vanguard's Pacific (ex Japan) Stock Index fund which would work out at 0.43% total charges. I have had a good run with my investment trusts over the years but the time has come to wave bye-bye to the higher charges. The 3 ITs were sold earlier this week and replaced with the Vanguard fund at a purchase price of £15.80. I will incorporate these changes when I next update my investment trust income portfolio. What do you think? Is this a sensible exchange? Anyone else hold the Vanguard ETF? Just in case you may have forgotten - today is the general election! Every 5 years, the great British public get the chance to vote for a member of parliament who will faithfully represent their best interests for the coming 5 years. 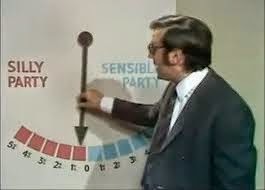 We live in a democratic country and therefore have a wide choice of political parties to choose from - there is the Sensible Party, the Silly Party, the Slightly Silly Party and the Very Silly Party. 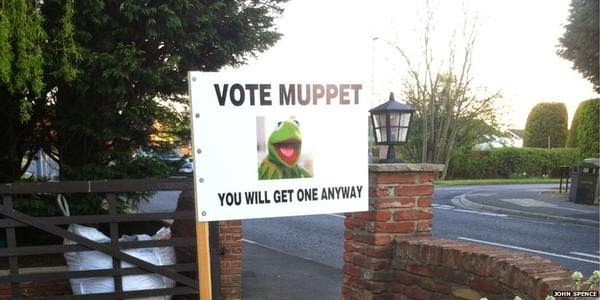 However, I am not the sort of person to follow the crowd so today, I will be voting Muppet! I am confident my party will gain the most seats in this election and I therefore eagerly await the outcome of the national vote after polls close at 10.00pm. I am sure they will be good for the economy, the NHS and hard-working people throughout the nation. My favourite is Animal - I hope he will become chancellor. By the way, has anyone seen my jacket? It's white with sleeves that make you hug yourself and it has a cute belt! As we all know, it has not been a good year for supermarkets - for my sins in a previous life, I hold both Tesco and Sainsbury in my income portfolio. They have today announced results for the full year to March 2015 (link via Investegate). .
Profit before tax is down less than forecast -14.7%% to £681m (2013/14: £798m) whist basic earnings per share is down -19.5% to 26.4p (2012/13: 32.8p) . This decline was greater than the decline in underlying profit, due to the impact of a higher underlying tax rate and the effect of additional shares issued during the year. This fall in profits will be the first annual loss for a decade. New CEO Mike Coupe said, "The UK marketplace is changing faster than at any time in the past 30 years which has impacted our profits, like-for-like sales and market share. However, we are making good progress with our strategy, and our investment in price and quality is showing encouraging early signs of volume and transaction growth". At the half way point last November, the interim dividend was maintained at 5.0p. However, anticipating a decline in profits, a decision was announced to target dividend cover at 2x earnings. The final dividend will be 8.2p, making a total of 13.2p for the full year, a reduction of 23.7% on the 17.3p paid last year. This has brought the payout back to the same level as 2009! Not fantastic for income seekers but more or less what I was expecting and much better than the zero final dividend announced by Tesco. The results have so far received a mixed reaction and at the time of posting the share price is trading around 2% lower at 269p. This puts the shares on a current yield of 4.9%. Forecast earnings for the coming two years are ~22p which will reduce the dividend to 11.00p. Last year I topped up my holding at 260p - my breakeven figure is 300p. I am hoping the recent turbulence is starting to settle and the new management can make some progress to turn things around and improve profitability and earnings. I suspect it may be a long process and I would not be surprised to see some consolidations in this competitive sector of the market in the next year or two. A Simple Low Cost Income Strategy? 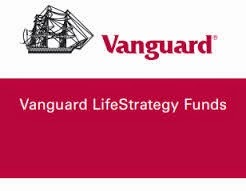 In my previous post, I suggested the Vanguard LifeStrategy funds appeared to offer a very simple solution which I hope most would-be investors could easily understand and implement. They offer a balanced portfolio of globally diversified equities combined with a mix of UK and global gilts/ corporate bonds. From conversations with friends and relations I am increasingly convinced that most ordinary people find financial matters a bit challenging - to say the least! Since the introduction of the Retail Distribution Review of 2013, advisers can no longer receive commission payments from the funds they recommend so they generally charge an agreed up-front fee to cover the initial work and recommendation. This could be anything from around £750 to £2,000. They may then charge a smaller ongoing fee to review the portfolio on a regular basis. For most people with relatively modest amounts to invest, these fees will not generally be considered affordable and/or cost effective. I have recently been thinking that, for the vast majority of would-be investors, all they really need is a very simple, no-frills diy strategy which will provide a good chance of a decent outcome. 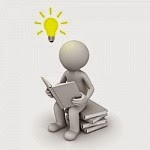 One of the aims of writing my ebooks and also setting up this blog was to help ordinary people better understand personal finance - especially the world of investments. I suggested the LS funds are probably a good choice for the younger investor building for the future. I also expressed some reservations as to whether they would be suitable for the investor of later years who may need more than the 1.4% yield. I am sure Vanguard could easily put together a higher yielding blended fund which would be more attractive to the income investor who is more comfortable drawing the natural income. In the absence of such a fund, I thought it would be interesting to look at some alternatives. So far as a one-stop solution is concerned, the main options appear to be the multi-asset and/or blended tracker funds both of which hold a mixture of equities, bonds and possibly property. Having ruled out the Vanguard LS for the time being, I have been looking around at other offerings in the market which work on a similar principle but deliver a more acceptable yield. The funds I have looked at are the Legal & General Multi-Index funds, BlackRock Consensus and HSBC World Index but the yields appears similar - maybe a shade higher - to Vanguard and the ongoing costs are higher so these also are equally ruled out. Moving away from the index sector, I have also had a brief look at the actively managed multi-asset funds. These are a one stop option for investors who may want to adopt a more cautious approach, preserve capital and receive a steady income. I guess the popular choices for many fairly cautious income seekers would be the 20 - 60% equity sector funds. The big reservation I have with these types of funds, as with the blended trackers, is that the fund manager has the freedom to increase or reduce exposure to various classes of asset according to how they see market conditions - the returns for investors will therefore depend upon whether the manager can make consistently good calls. I would say the chances of this are not going to be too high so personally, these funds would not be for me. Investors will never be sure what allocation of equities are held. They also tend to charge higher fees - typical ongoing charges are around the 1.5% mark on average which would be too high for me although the yields of 3.0% - 4.0% are more in line with the natural yield that the income seeker will be looking for. The next option would be to put together a diverse portfolio of investments - for example, a mix of investment trusts along the lines suggested in my book ‘DIY Income’. For those with a certain degree of financial know-how, this could be a good option, however most of my friends would probably struggle with this approach so, although it may well be lower cost, I don’t think it can be classed as simple. A simpler option might be to put together a diy blend of low cost tracker funds. I will use Vanguard as an example as they have a fairly limited range of options comprising funds and ETFs. Say our investor wants to generate a reasonable income - maybe 3.5% yield from a fairly conservative allocation of 50% equities and 50% bonds/fixed interest. A combined average income yield of 2.5% and charges of 0.15%. The total yield for the 'Vanguard Five' is therefore 3.15% - slightly below the target but I suspect there is the possibility of yield on global bonds increasing over time. The charges for the portfolio are fairly modest at around 0.20%. In addition there would be the usual platform fees - for example, with my broker AJ Bell Youinvest, an additional 0.20%. Even so, just a fraction of the managed fund option. Of course, it would need some attention as there would be a need for rebalancing from time to time. I think it is clear from the above trawl that a strategy based on taking the natural yield from a portfolio may be a little more complex and therefore less attractive to the unsophisticated would-be income seeker. I am a reasonably experienced diy investor and it has taken some time and expertise to research the above options. Even then, I suspect there are still many angles I have not considered. It seems to me that putting together a DIY income portfolio is not as simple and hassle-free as with the LifeStrategy approach. Of course, in the later stages of life such as retirement, investors may well have a little more time to research and implement a slightly more challenging strategy! However, as was pointed out in a comment by Passive Investor in the previous post - "I never understand why some investors are a bit fixated on income. There is no mathematical difference between taking 3.5% from investments by selling units where necessary and choosing higher yielding investments". So, having gone all around the houses, maybe the best solution would be to keep it simple and maintain the LS fund - possibly step down from LS80 to a lower level of equities exposure, for example LS40 or LS60 - or a combination of the two to give ’LS50’ - and then sell off the required value of units each year to provide the desired level of income. If the fund is growing by an average of 6% per year, it should be feasible to sell 4% of the units for example without depleting the fund. Since the LS funds were launched in 2011, the average annual return for the LS60 has been ~9.3% p.a. however, the market returns have generally had a good run over recent years so over the longer term, I would expect this figure to revert back a little nearer to 6%. In the past month or so I have been reviewing my income strategy. I may well think about adding one of the LS funds into the mix with a view to drawing some 'income' from the sale of units. What do others think - am I being unduly pessimistic regarding the abilities of the great British public or are the vast majority of people at a disadvantage when it comes down to issues of personal finance and investments? Does it matter - or is this more or less how it’s always been? Leave a comment and let others know what you think.